I wonder if Mozart would enjoy this pineapple salsa? 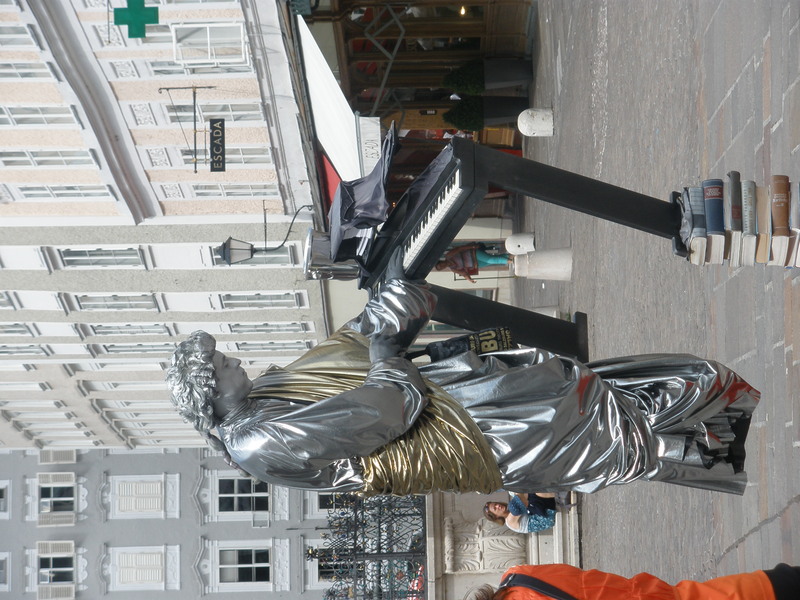 The Ghost of Mozart performing in a Salzburg public square. 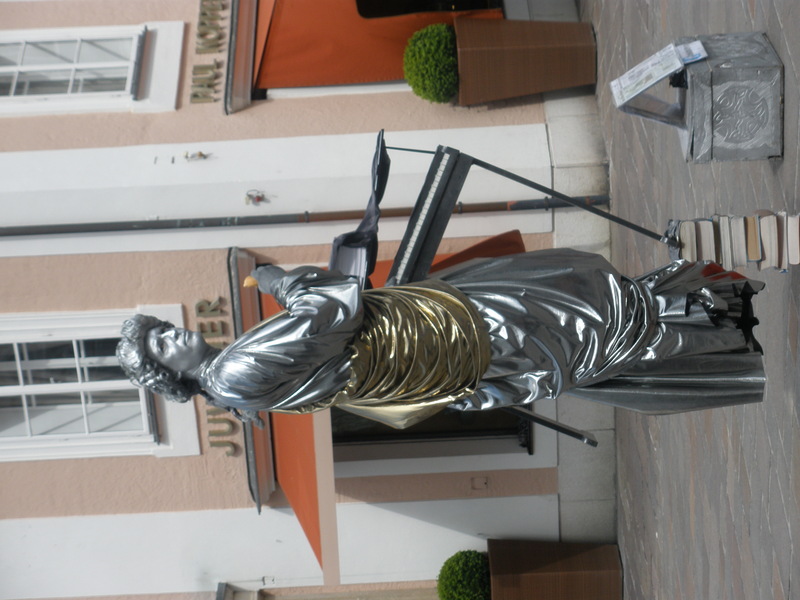 Salzburg, Austria takes being the birthplace of composer Wolfgang Amadeus Mozart pretty darn seriously, if curiosities such as Mozart impersonators covered in metallic paint can be considered serious! 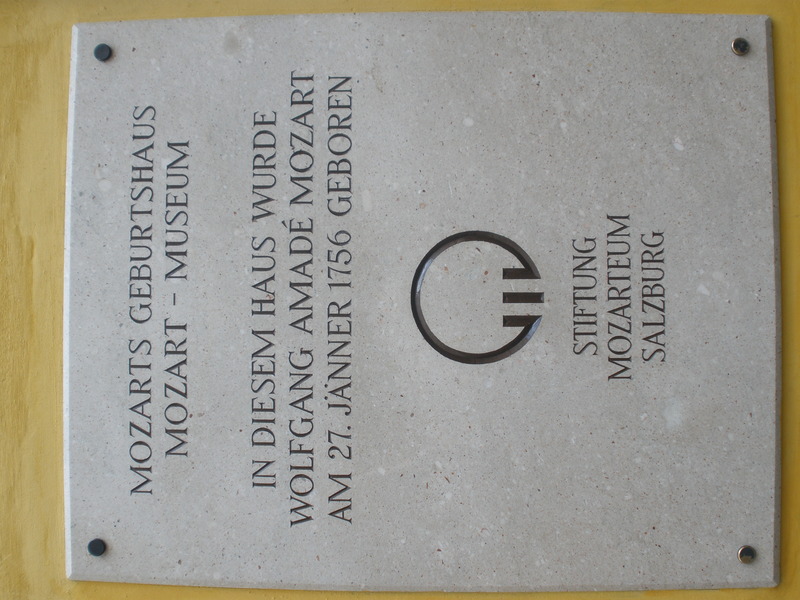 A visitor would be hard pressed to walk more than a block or two in historic Salzburg without seeing some sort of tribute to its classical composer hometown hero. 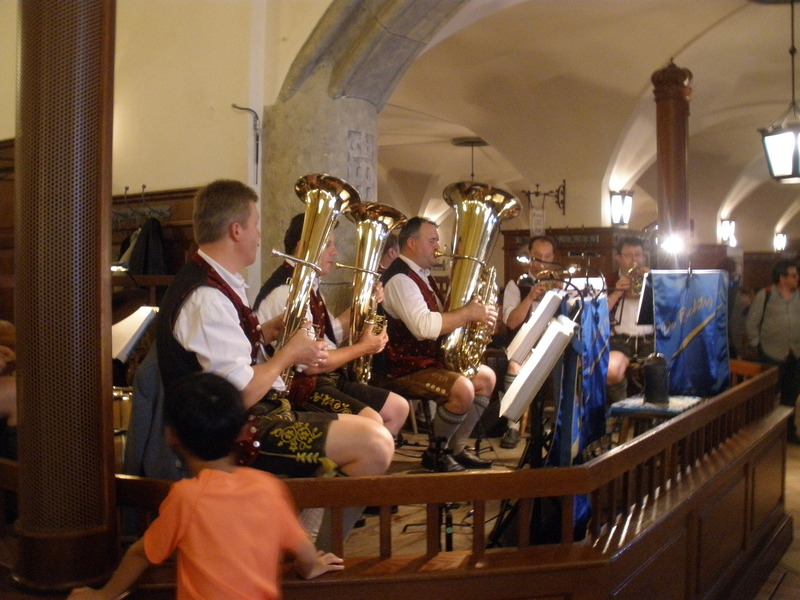 While Salzburg is a truly beautiful city to visit, it is also pretty toasty in late summer. In late afternoon, the cobbled streets are downright hot. Those alpine breezes I was hoping for? Yeah, not so much. Salzburg is nestled into a valley in the Alps. This means that while fresh mountain air no doubt swirls high overhead, it skips right over sweltering tourists and continues on its way. As much as I am enjoying the city, I need to cool off, or not even the spray painted Mozart ghost will be able to make me smile. I have a ridiculous amount of pineapple left over from making Austrian Preserved Fruit, so today we are making Pineapple Salsa! 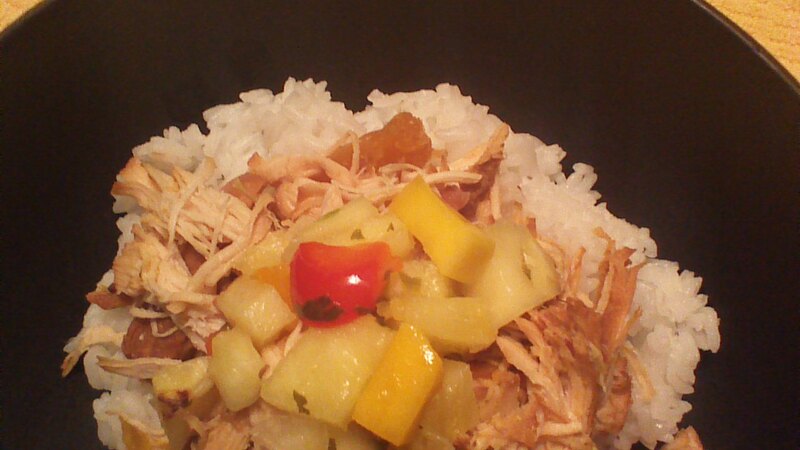 Super easy and beautifully seasonal, pineapple salsa is delicious served with tortilla chips, or as an entrée ingredient over a plate of shredded chicken and rice. All that is required to make this salsa is the ability to dice fruits and vegetables into small pieces, and the ability to count to “one.” Even my head-addled brain can handle that. Step 2) Dice your pineapple, mango, onion, and red pepper into bite size pieces. Combine in a large bowl. Step 3) Finely dice your jalapeno, removing most of the seeds first (wear gloves!). Chop cilantro. Add jalapeno and cilantro to the bowl with other ingredients. Step 4) Roll your lime around on the counter, pressing firmly, to release the juice from the pulp. Cut the lime in half and squeeze the juice (as much as you possibly can) over the bowl of ingredients. Mix well. Step 5) This recipe may be enjoyed fresh – just store it in the refrigerator. 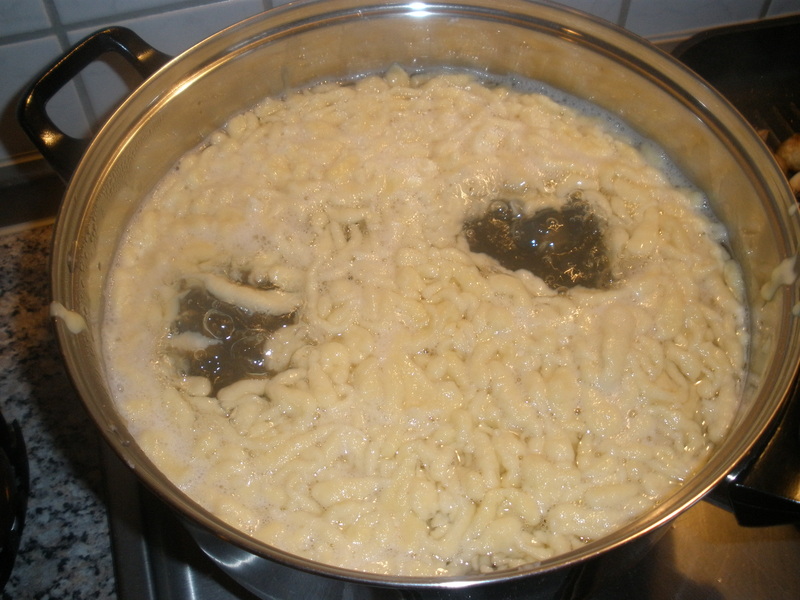 If you wish to can this recipe, proceed on to step 6! Step 6) (For canning only…) Add all ingredients to a large pot and bring to a boil. After mixture boils, remove from heat and ladle into sterilized, pint size canning jars. Add 1 tablespoon lemon juice to each canning jar for extra acidity and safety. Leave 1/2 inch of headspace. Place lids and bands on jars, and process in a boiling water bath for 10 minutes. Store in a cool place for up to one year. The most beautiful storefront in all of Western Europe can be found on a little cobbled street in Salzburg, Austria. 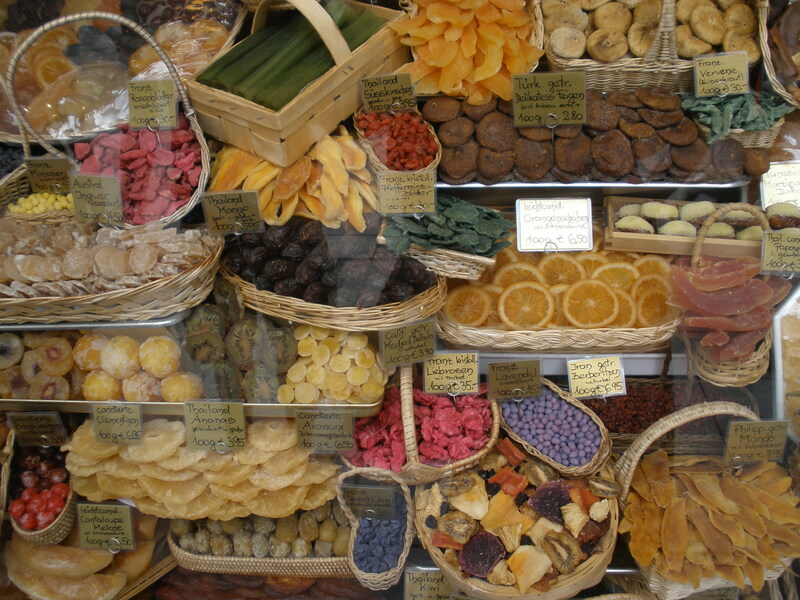 In this storefront, a dazzling assortment of every imaginable kind of fruit, each beautifully and deliciously preserved, is arranged in an abundant and artful display. It is spectacular to see. The prices, alas, are also spectacular – spectacularly high – making this particular stop a “look but don’t touch” destination. While I was unable to leave with a treasure bag of purchased preserved fruit, I left with plenty of inspiration to recreate these treats at home on a more reasonable budget. It’s actually a very simple process, and very affordable! For less than the price of chips and salsa, you can bring a plate of jewel-toned, candy-like fruit to your next social event. Even if your cooking skills are limited to boiling water – seriously – you can do this! Step 1) Working with one type of fruit at a time (preserve different types of fruit in separate batches), peel and slice fruit into 1/4 inch thick slices. Set aside. 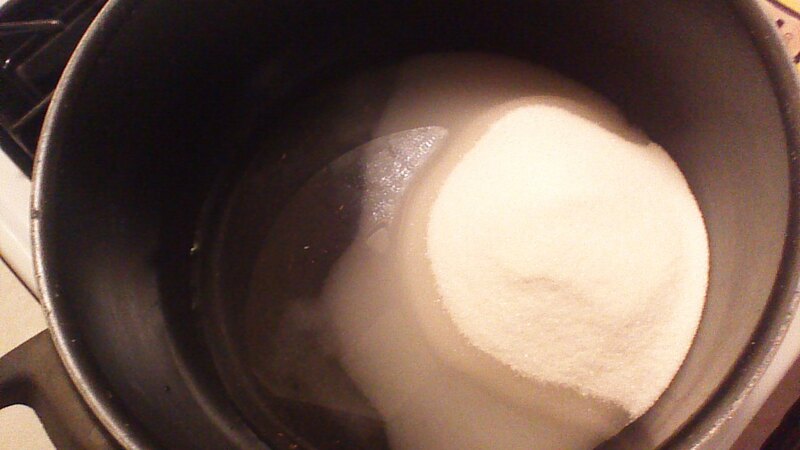 Step 2) Bring sugar, water, and spice to a boil in a large, wide pot. Allow syrup mixture to boil vigorously and reach a temperature of roughly 230 degrees Fahrenheit. 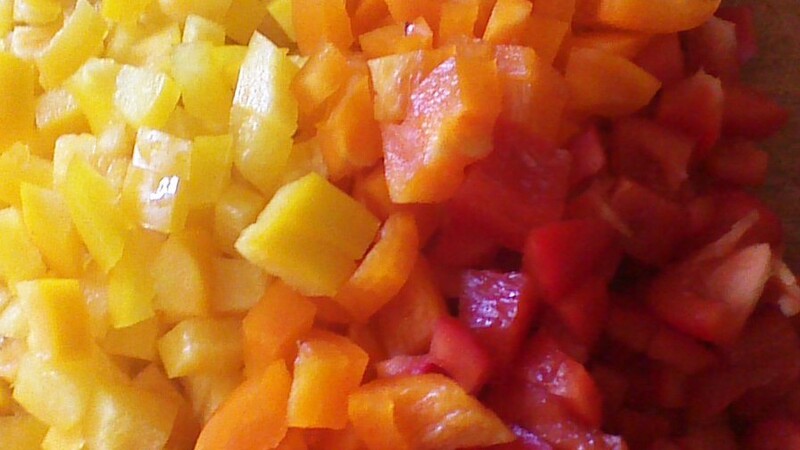 Step 3) Add fruit and reduce heat to simmer. Spread fruit pieces around with a stirring spoon so that fruit is in a single layer on the bottom of the pot, covered in syrup. 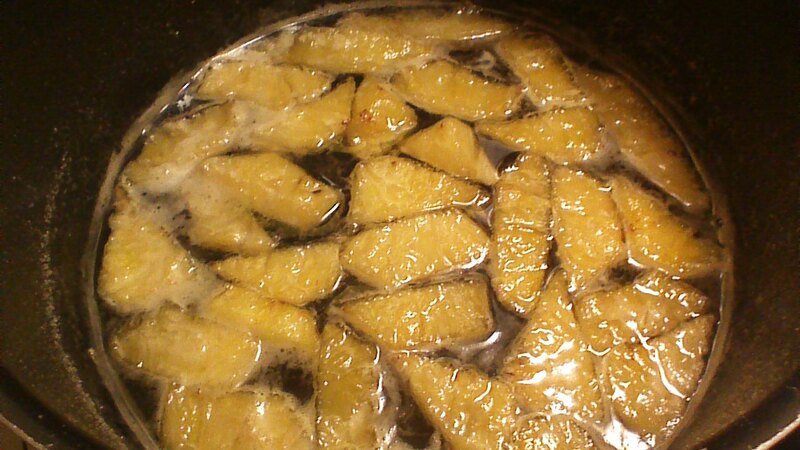 Step 4) Simmer, uncovered, until fruit looks glossy and turns translucent in color. 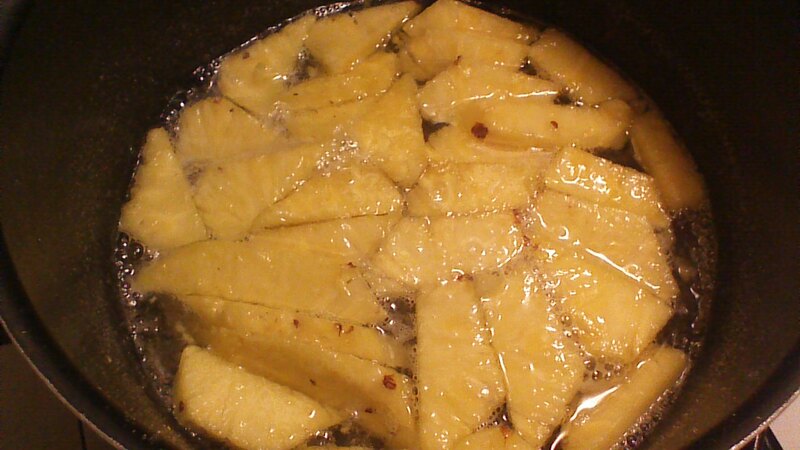 For pineapple, this takes approximately 30 minutes. For plums, this takes approximately 15 minutes. 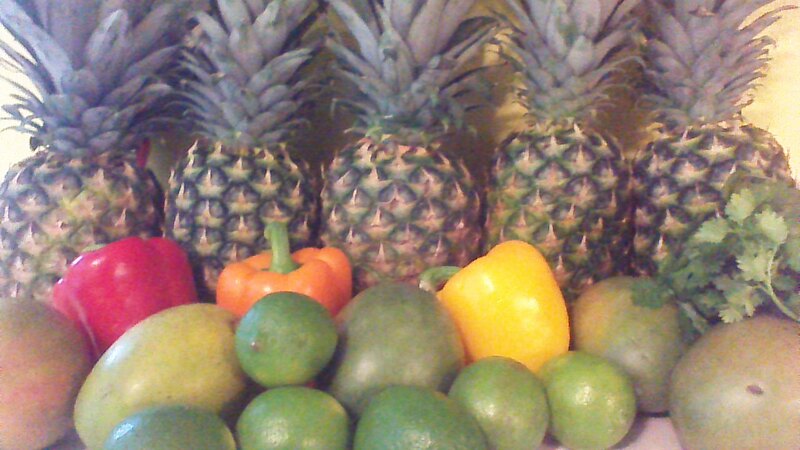 Cooking time will vary depending upon your choice of fruit and the thickness of your fruit slices. Once fruit turns translucent in color, remove pot from heat and cover. Allow fruit to soak in the syrup overnight. Step 5) The next day, remove fruit from syrup with a slotted spoon and place on a wire rack. Allow fruit to dry for several days at room temperature, or speed up the drying process by placing the fruit in a slightly warm oven (absolutely no hotter than 200 degrees!) for several hours. 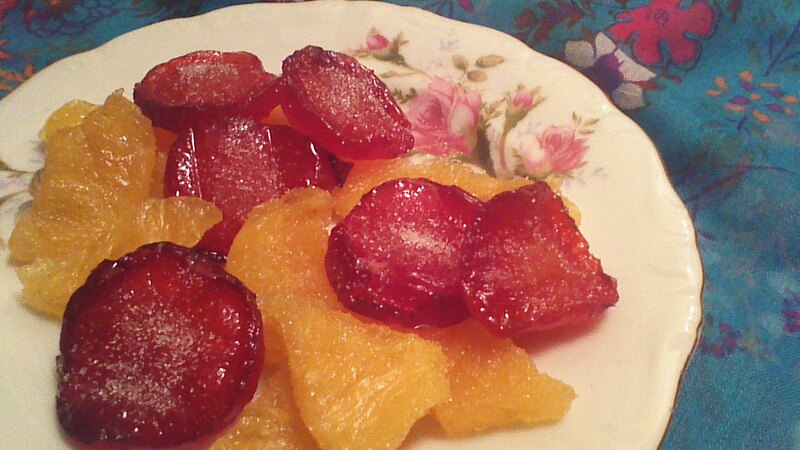 Step 6) After fruit is dry, sprinkle lightly with sugar. Store in a tightly covered container. If long term storage is needed, placing the container in a freezer will preserve optimum flavor. Enjoy! Have You Entered Yet? Last Chance to Win! Crowded Earth Kitchen is offering five – that’s right, FIVE – ways to win! Rose’s peculiar and unshakeable ability might be tolerable if she weren’t surrounded by such an odd cast of characters. But that wouldn’t make for an interesting story, would it? Instead, Rose lives with a detached and clueless father, a melancholy and secretive mother, and an older brother who blends into the background most extraordinarily well. Rose finds grains of sanity in her friendship with Eliza, whose mother can be relied upon to cook happy tasting food, and her unlikely alliance with George, the surprisingly normal friend of her very strange brother. 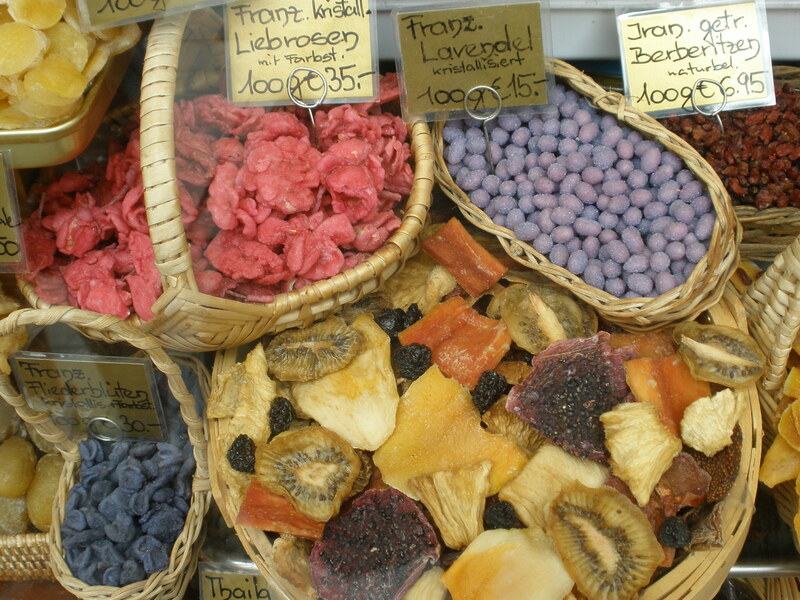 Thus far on our European Food Tour, we’ve managed to avoid (most of) the touristy kitsch. Indulge me just this once. 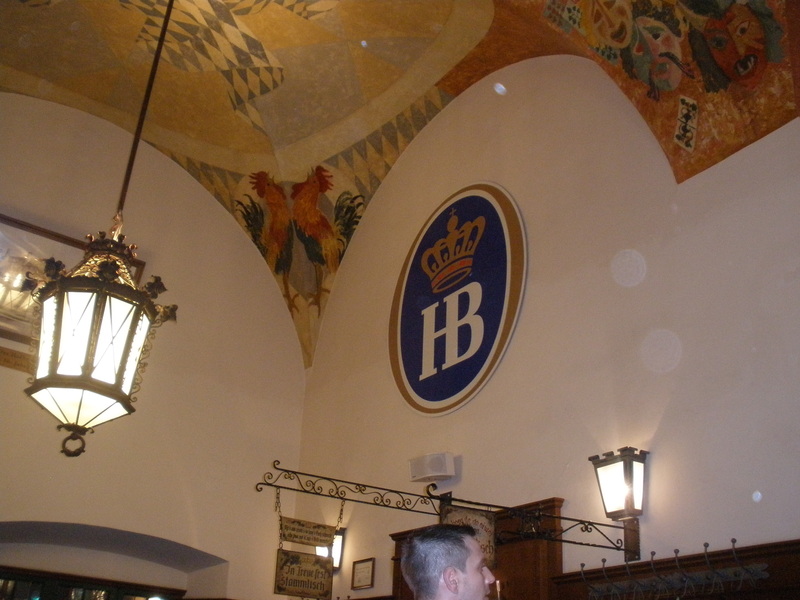 We were in Munich, we were hungry, and we did it… we followed the camera wielding masses into that most epic of bier halls, Hofbräuhaus. Simply put, it’s too old and too big NOT to visit! 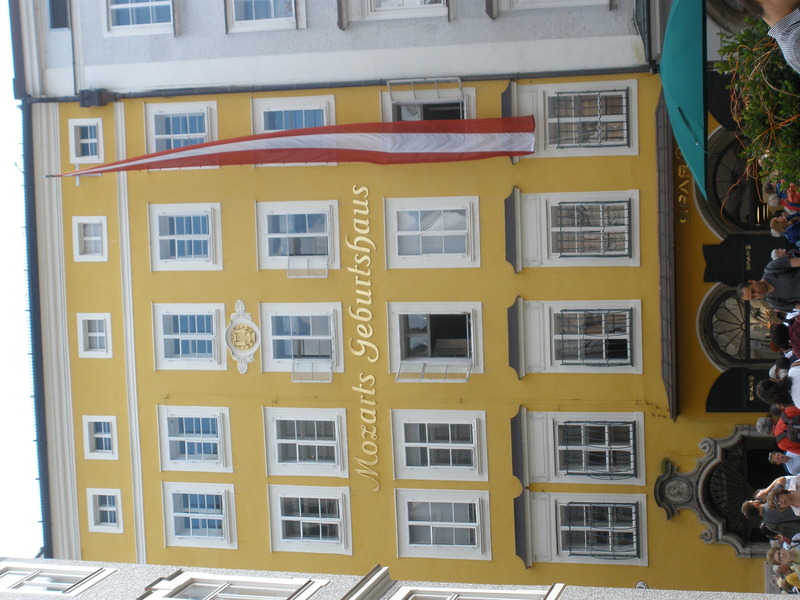 The history of Hofbräuhaus dates back to the 16th century, and is a long, fascinating story. The current building – “only” 117 years old – can seat a whopping 1,300 hungry and thirsty guests. For me, the most fascinating thing about Hofbräuhaus is how, despite the hordes of tourists, the old bier hall is clearly beloved by locals. 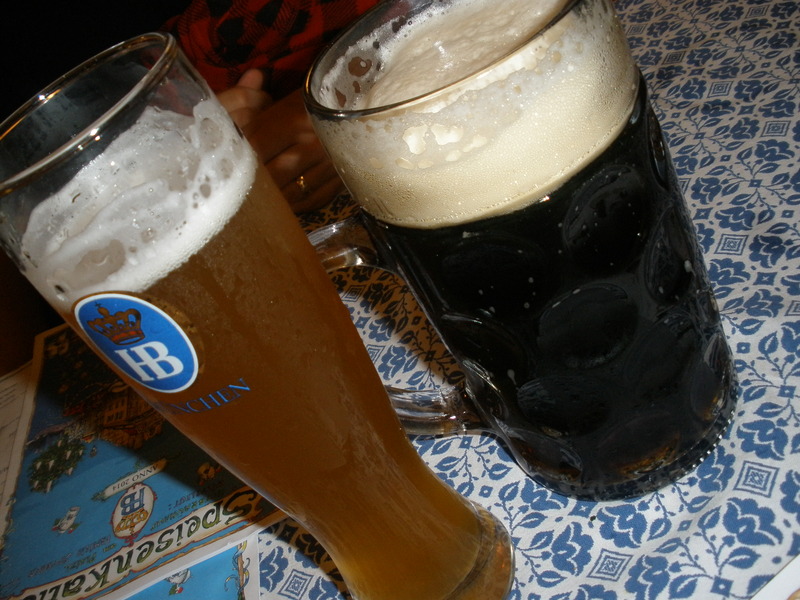 If you don’t believe me, check out the bier hall’s website. 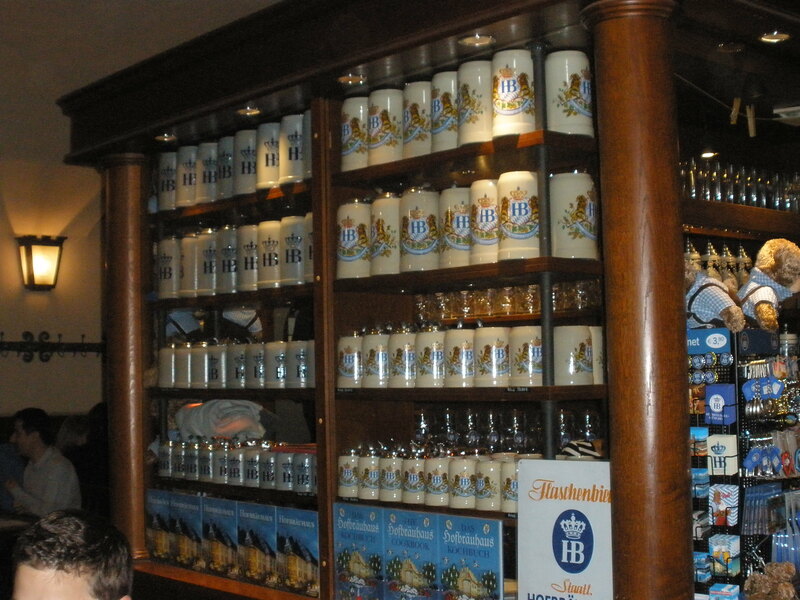 An impressive number of tables are reserved for regular guests, many of whom own their own bier steins and store them in one of the 454 lockers available on site! Possession of one of these lockers is considered a status symbol among regular guests. 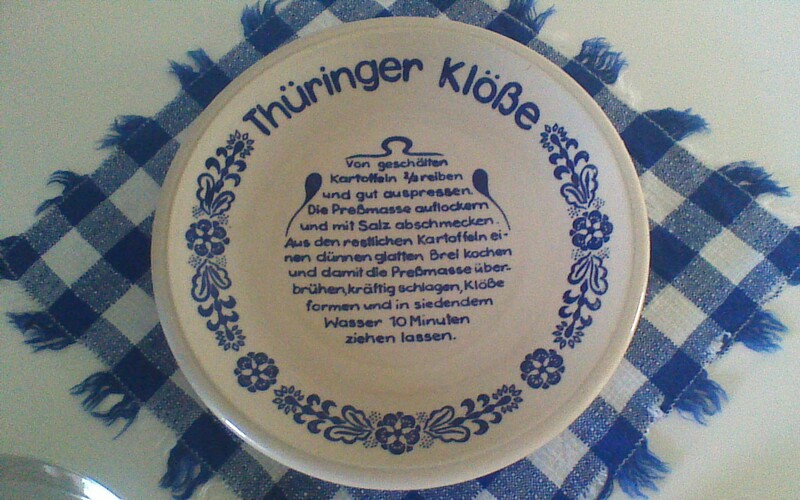 Whether drinking from a fancy schmancy bier stein or a plain old glass mug, everyone can enjoy a hearty and delicious meal. I’ll leave you with a few photos while I pack my bags. Next stop: Austria! 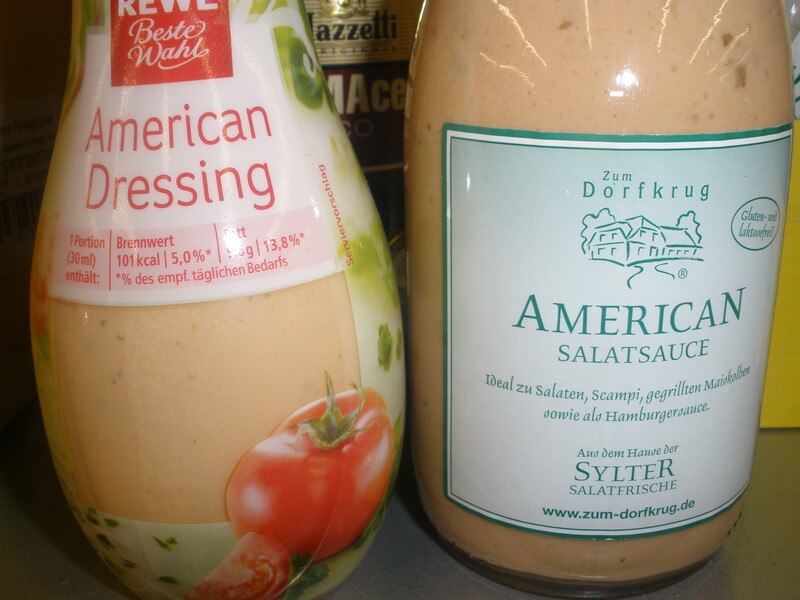 An American Lost in a German Kitchen! I anticipated a few of our travel adventures before we stumbled upon them. For example, I imagined that decoding foreign train schedules would take a bit of practice (I was right). I imagined reading key words on restaurant menus and placing an order correctly would take a bit of luck (I was right). But cooking in the kitchens of our rented guest apartments? That, I imagined, would be a snap (I was very, very wrong). I realized I was in for a bit of a challenge before I even set foot in a kitchen – I was still at the grocery store! For better or worse, I grew up with the wack-a-doodle American system of measurements. You know what I’m talking about… 16 ounces to a pound, 2 cups to a pint, 2 pints to a quart, 4 quarts to a gallon, etc.. It’s a ridiculous system, but it’s the system with which I am most familiar. I understand the metric system and use it in other contexts, but it’s akin to a non-native language, and takes me an extra second to sort out in my head. Here’s a scenario: an item costs 6 Euro 49 per kilogram, and the shop keeper is asking if I would like to make a selection. Hmm. Would I? Well, there are roughly 2.2 pounds per kilogram and $1.37 per Euro. Reasoning out that 6 Euro 49 per kilogram is about $4 per pound isn’t rocket science, but after thinking through the mental math for about 50 items, I was ready to just start chucking random items in my cart. Then I learn that the price shown is “per 100 grams.” I have no idea how much 100 grams of sausage (or cheese or whatever) looks like. Sure, I’ll take 100 grams. Oh. I guess I’ll take another 100 grams. Butter is not packaged in 1/2 cup sticks, but in 200 gram squares. 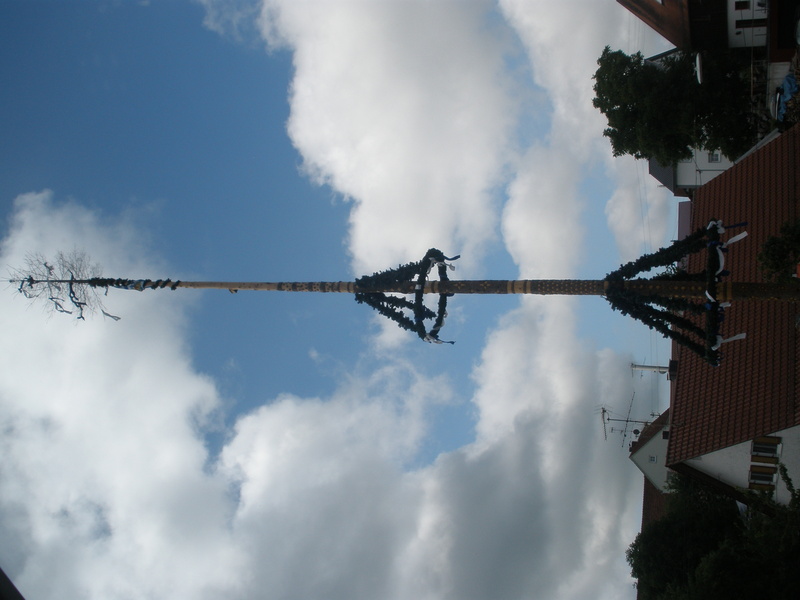 Internet conversions to the rescue! Baking powder is not sold in a red cylindrical can, but in little envelopes. I found it… eventually. Powdered sugar is not sold in loose bags, but in dense little boxes. I found this also… eventually. Flour is sold in densely packed 1 kilo packages – very densely packed. I’m just guessing here, but it probably wouldn’t be wise to dump a bag of flour into a resealable container of approximately the same size. I’m just guessing the flour might expand… a LOT… and make a mess that would amuse any pint-size travel companions for the rest of the day. Good thing this didn’t happen to me. After navigating the market, my adventures continued in the kitchen. Oven gauges are set in Celsius rather than Fahrenheit. Local recipes use units of mass rather than volume (a much more accurate, common sense approach, but unfamiliar nonetheless). Ovens are generally smaller, which is more energy efficient, but also alters familiar baking times. Stovetops are often electric and ceramic, requiring a gentler approach and a bit more patience than open gas flame. Navigating these differences, I managed to serve slices of “rare” cake and saw through a roast that was, er, “well” done. 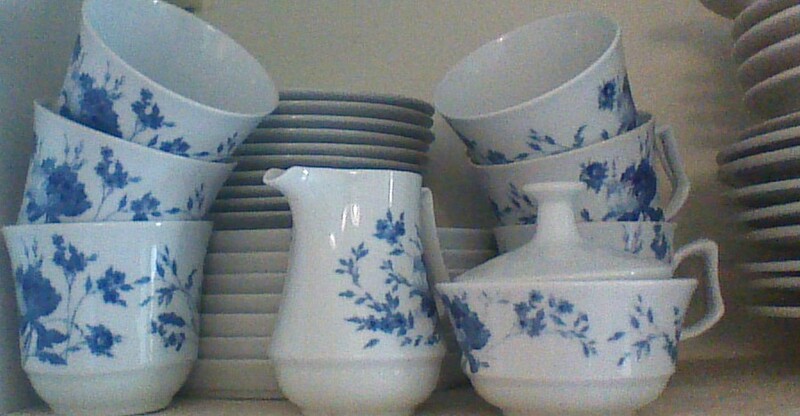 I also made a few dishes – heck, more than a few dishes – that were pretty darn good. I will leave Germany with a few new cooking skills, a lot of great recipe ideas, and a healthy respect for the similarities AND the differences between German and American cooking cultures. 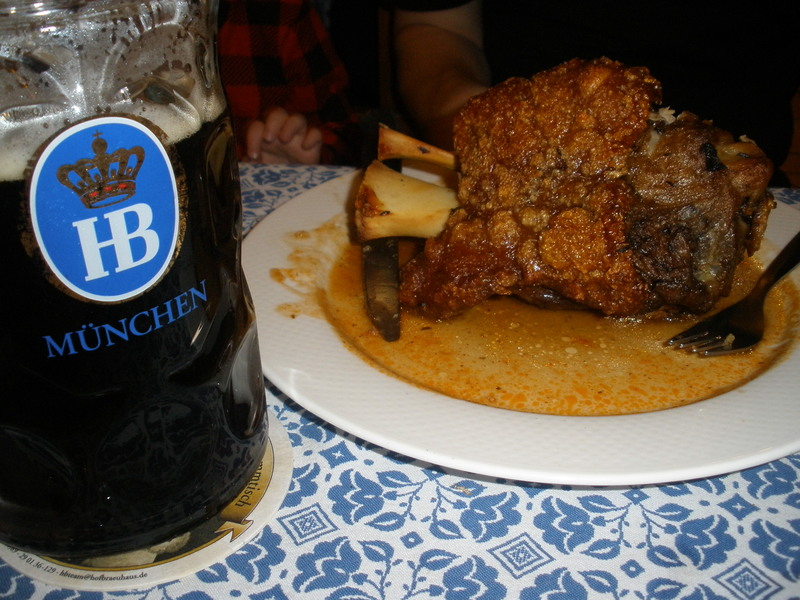 Next time on Crowded Earth Kitchen, I’ll share photos and stories from an iconic German dining establishment. 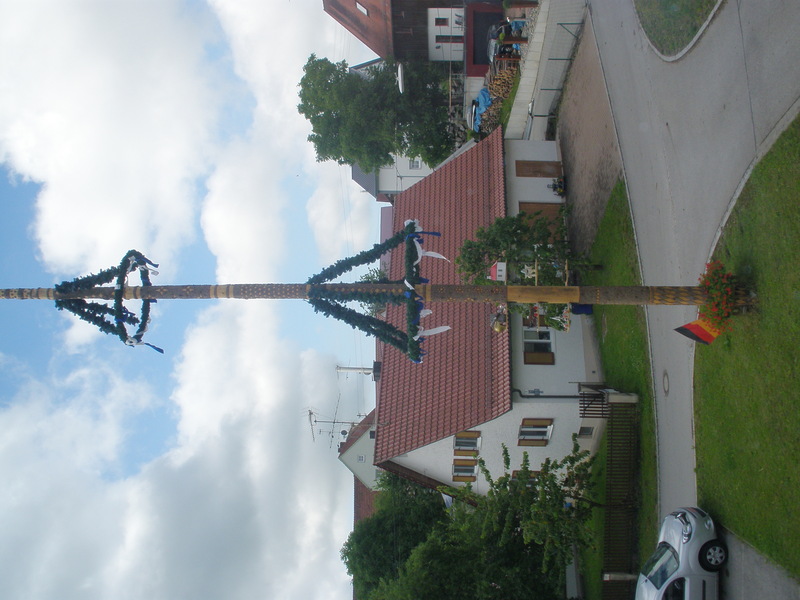 Then, we’re off to Austria! 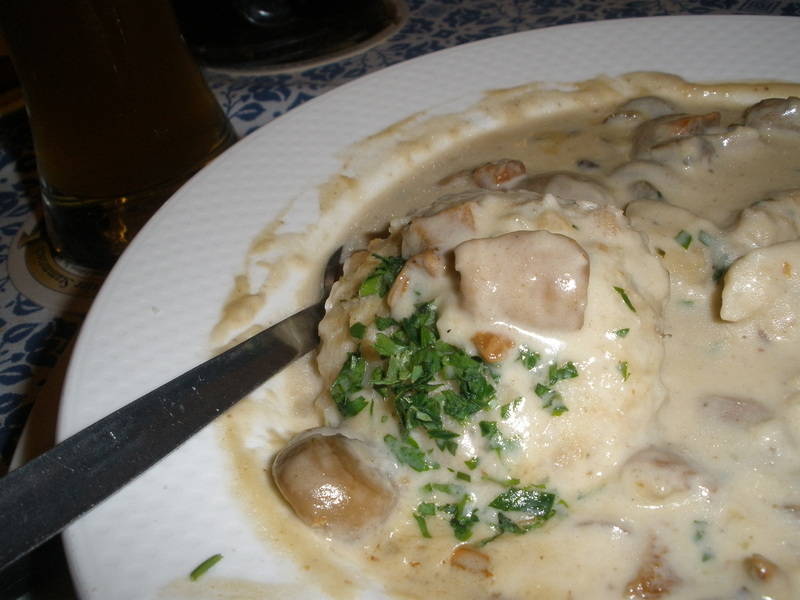 The Amazing Spaetzle Dumpling Workout! I woke up to a rainy day in the hills of Bavaria, and decided to fill the day cooking a few of the comfort foods I associate with Germany. Dumplings immediately came to mind. 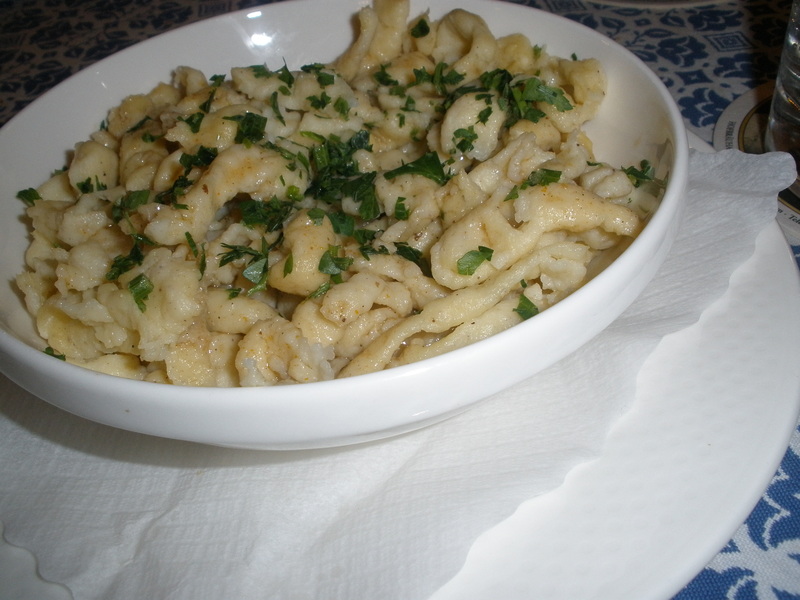 Of all the varieties of German dumplings, and there are many, I particularly adore spaetzle. These tiny, irregularly shaped dumplings are often served with a light gravy, or just butter with a dash of salt and pepper. 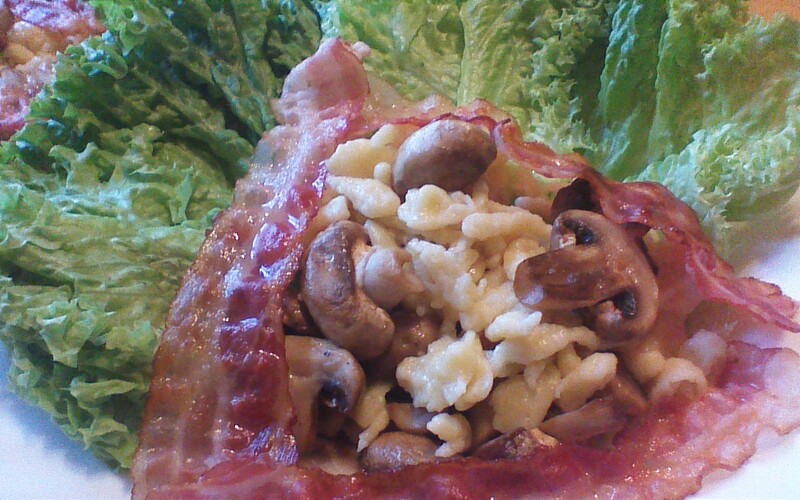 Today’s recipe includes mushrooms and bacon, and is pretty delicious if I may say so myself! Before we get started, let’s do a few upper body warm-up stretches. At home, I have a little gadget for making spaetzel. To use it, I simply scoop some dumpling dough into the white bowl on top, and slide the bowl back and forth over the hole-punched tray underneath. Tiny drops of dough fall effortlessly into a pot of boiling water, and in just a few minutes, I have a delightful bowl of dumplings. So easy! 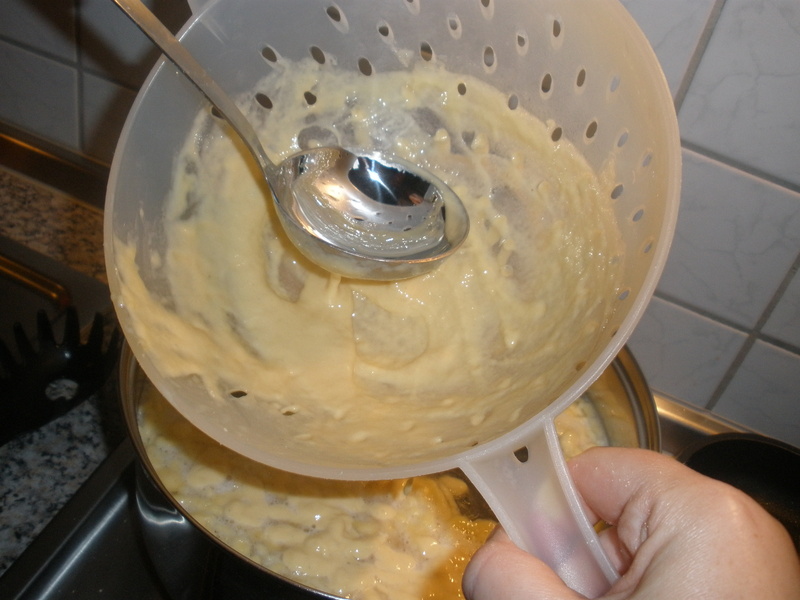 Lacking my spaetzle maker, I used a strainer and the back of a soup ladle to accomplish the same task. It worked just fine, but the dough being quite elastic, it took quite a bit more effort than I anticipated! Don’t let that scare you off, just think of this recipe as the happy end of The Amazing Spaetzle Dumpling Workout! 1) Fill a large pot halfway full of water. Add a dash of salt and bring to a gentle boil. 2) Fry bacon in a separate pan. Remove bacon when crisp and set aside to drain on a paper towel. 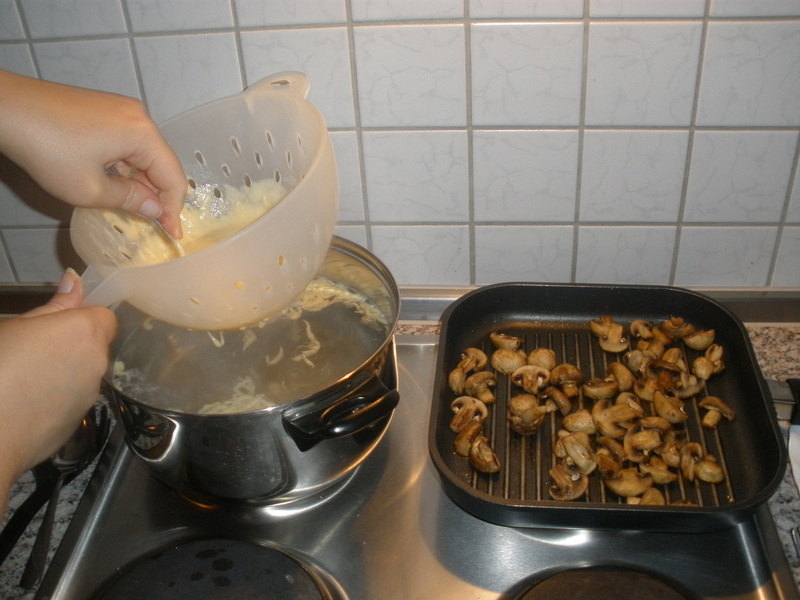 Add mushrooms to pan with bacon fat and allow to cook over low heat, stirring occasionally. 3) While bacon and mushrooms cook, mix together eggs, flour, milk, salt and pepper. Allow to rest for about 2 minutes. 4) Add half the dumpling dough to a strainer with holes about the size of a pencil eraser (a bit larger is OK, but NOT smaller!). Hold the strainer over the pot of boiling water with one hand, and use the other hand to rub the back of a soup ladle over the dough. 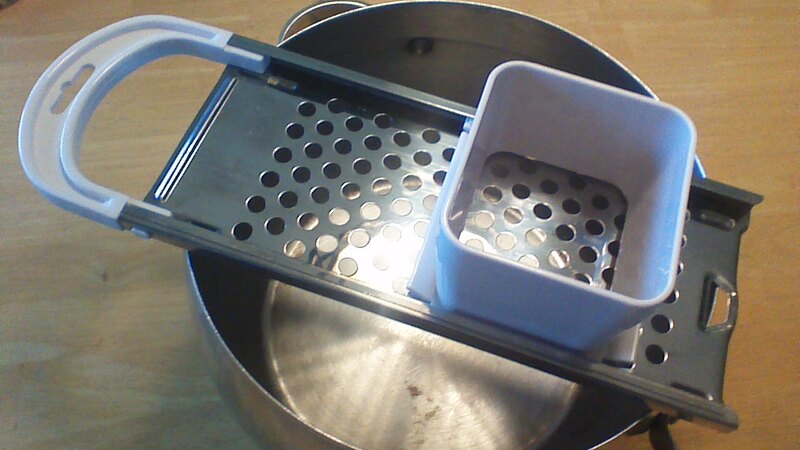 Keep doing this until all the dough drops through the holes in the strainer. Your arms won’t fall off – it only feels that way! 5) When the dough drops into the pot, it will sink first and eventually float to the top. Dumplings are cooked through when they have floated on the top of the water for about 3 minutes. Scoop them out with a slotted spoon, set them in your serving bowl, and repeat the process with the other half of your dough. 6) By the time your dumplings are cooked, your mushrooms will be ready. Gently fold mushrooms and all pan drippings into the dumplings. Serve a scoop of spaetzle and mushrooms over a few leaves of romaine lettuce. Top with crumbled bacon, or serve bacon slices whole on the side. Enjoy! 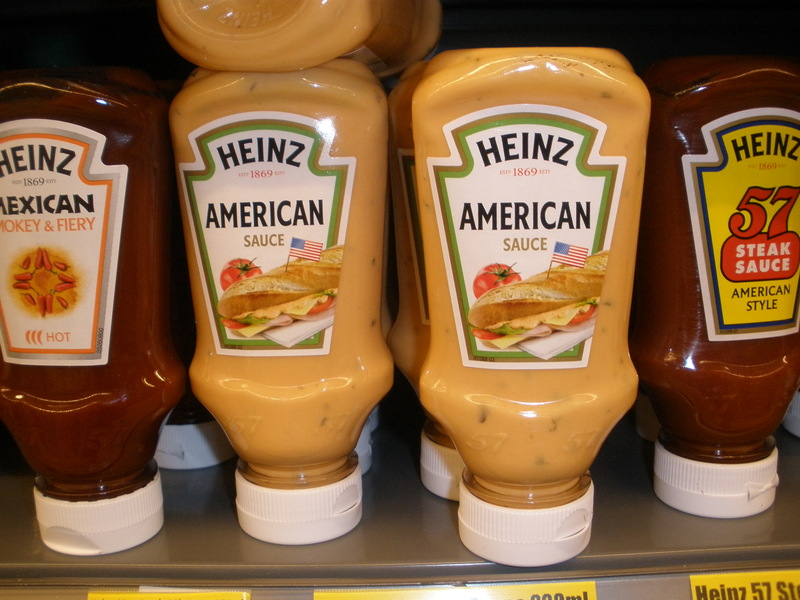 What in the World is American Sauce? 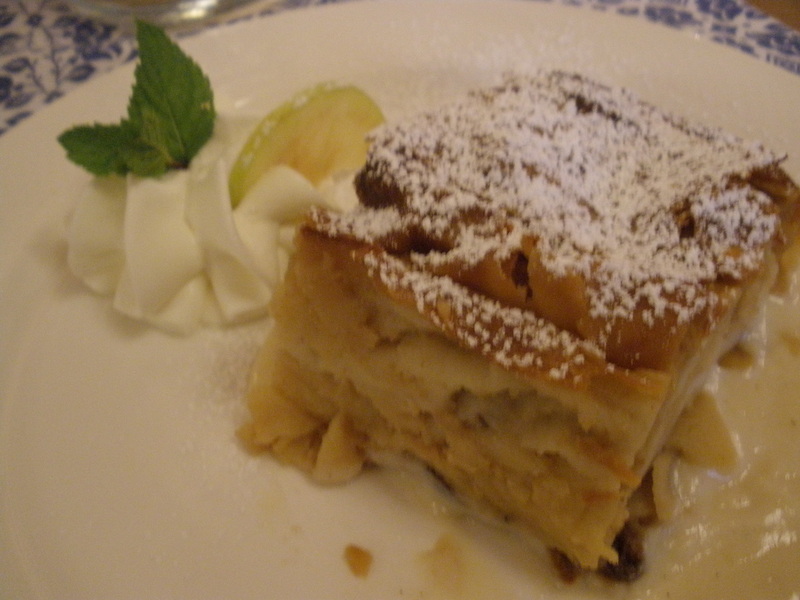 Before arriving in Europe, my travel companions and I were aware of at least a few of the more common European perceptions of American dining habits. In mealtime settings, we have been careful to keep our voices a bit more quiet than we might at home, and we have been careful to not occupy too much table space. We have even been graced with a compliment or two about the good behavior of our pint size travel companions (offsetting that time one pint size darling threw a credit card clear across a restaurant into the dinner of a very surprised lady, but I digress…). Although we try to abide by the old “When in Rome” adage, our American accents can be detected from outer space, and have led to a few interesting exchanges. 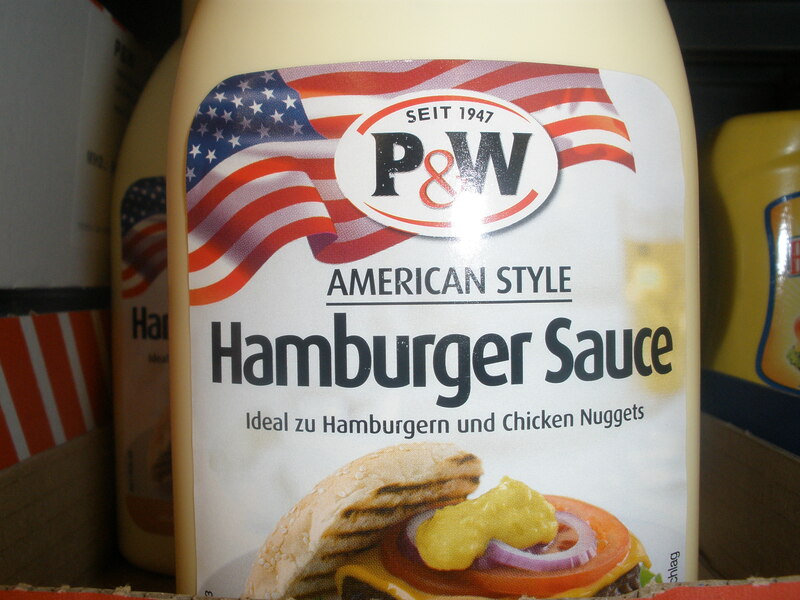 We’ve noticed, for example, that ketchup is offered with absolutely everything, and often with a knowing grin. Often, the only ketchup bottle in sight is the one placed on our table. I find it thoughtful, but curious. Our most curious dining experience was on the heels of a much more somber visit to the Holocaust Memorial in Berlin. 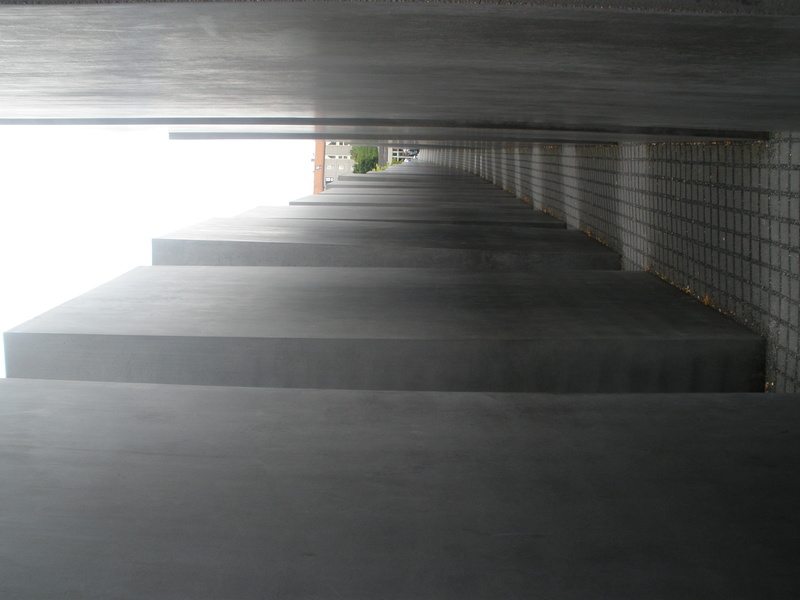 Visiting the Holocaust Memorial and adjoining museum was a bit overwhelming. After spending a few hours reading and reflecting on these sights we went for a walk through the neighboring district, home to the US Embassy. The high concentration of Americans working in this area has led, predictably, to a large number of restaurants with English menus and other American-friendly touches. We stopped by a promising looking café for lunch… and stepped right into a parody. The booth in which we were seated was huge – I mean, it was enormous! The menu looked fabulous – on the first page, and the third page, and the tenth page. Beverage cups were large, and filled to the top with ice. Our waiter was very friendly and informal, stopped by our booth often, and delivered a giant bottle of (you guessed it) ketchup with our lightening fast meals. The most terrible – er, I mean most popular – of American pop music played in the background. We felt genuinely welcome, even as we found the microcosm of American dining quirks a bit unnerving. We left an American-size gratuity at the end of our intriguing meal.